chairman over every local government of your Android phone. 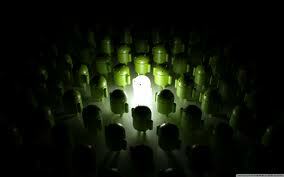 Android phone and you really want to root it, this thread is created for you. refuse to accept Droid Vpn application and co because it’s not rooted. giving you root challenge and I bet you, justice will be done to it. Will you pay $450 (N162000) to get 1TB microSD card? Insert ur airtel sim into any Nokia 210…………. Scroll to d message and send wap to 141 ……. wait 4 a message dat says ''Thank u for buying d new Nokia 210. Now insert ur sim into d device u want to use it on and Enjoy…………. NOTE: it last 4 30days. *141*712*0# to check ur remaining bundle. ===>Make sure that your computer has the Samsung USB Drivers installed on it. ===>Move all your files to your computer before using the CASUAL application. ===>Make sure that your device has enough power left in its battery so that it won’t power off before you manage to complete the root process. ===>I cannot be blamed in case you brick your phone or you lose any data in the process. Make sure to read the entire tutorial and not skip any instructions. STEP1: Connect your VZW Note 2 device to your PC using the USB data cable. The USB drivers are now installed and if you’re prompted by your phone to ‘Always allow from / on this device’ box then you should Confirm. STEP3: Next, after the download is complete you have to double click the file and launch the CASUAL app. STEP 4: Now, CASUAL app will launch and you should click the ‘Do it’ button. After that press ‘Continue’ when the alert menu appears. STEP 5: CASUAL app will start to download the Microsoft VC Redistributable software. Complete the setup for it. STEP 6: The Note 2 will now restart and boot into Download / Odin Mode. If you are shown a driver selection menu on your PC, the you should select the option that says ‘Gadget Serial’. STEP 7: All the actions are now automatically applied by the CASUAL application and you should only keep an eye on the device until all the steps are complete. STEP 8: When the Root, unlock bootloader and CWM Recovery installation processes are all complete you can disconnect the Verizon Galaxy Note 2 from your computer. When all the steps are complete you should see that your device’s bootloader has been unlocked and rooted. Now, since the CASUAL app has already installed the ClockworkMod – CWM Recovery image, then you can flash new custom ROMs and flash all the other variations of Android 4.2 Jelly Bean. Just follow the preceding steps carefully. 2: You show goto settings on the phone –>Application: check unknown source; tap preferred install location, select internal device storage; tap development and check USB debugging and Allow mock locations. STEP 1:Goto file explorer on your phone and locate the poot application you downloaded above, click on it to instalL. STEP 2:After installing open the installed poot application from your menu icon, i will request to download ministro services, download and install Ministro II library from Google play store. STEP 3:Now go back to open the poot application again, it will ask to update QT libraries, do that and your computer should restart automatically, if it doesnt restart it yourself. STEP 4:Now remove your memory card and boot the phone without a memory card. STEP 7:After the phone goes off, it should come back, but if it does not you have to remove the battery and put it back, then start it. STEP 8:If every thing goes well then you should see an option to download super user and root checker (if not try the steps again till you see this two options. STEP 9:Now download and install the super user and root checker from the link on poot. All you should do is restart and keep trying, sometimes you will get it done at first instance some times even up to 10 times before getting it done. prof am having problem rooting Tecno N3…. Hello Mr Ayo, Did you use the above procedures and you got still get an error like that? If yes, reply let me give you another rooting method aside of that. 1. Rooting voids the warranty of the device. However, you can get the warranty back by unrooting the device. 2. Make sure your device’s charged fully or has at least 60% of battery life left. 3. You should have drivers for your device installed on your PC. 1. Download and place the SuperOneClick archive on your Desktop. 2. Extract files from the archive to your Desktop. You can use free tools like WinRAR to do so. 3. Enable the USB debugging option on your device by going to Menu>>Settings>>Applications>>Development>>USB debugging. 4. Connect the device to your PC using the USB cable. 5. Double-click on the SuperOneClick executable file and it should launch. 6. Hit Root button in the tool and wait till it finishes. 7. Once the rooting’s done, disconnect the device from your PC. 8. And you’re all done! That' it! You now have access to the root on your Huawei U8180 device and it’s not just that, you can now install root-only apps as well as remove any system apps! 1. After Downloading This Files Install The ADB Drivers. 9. Once the process completes, you will see a success message. And your Techno Q1 will restart automatically. You can now check your Phone Menu You Will See SUPER SU; which means your Tecno Phone has been rooted. yomi pls help on this phone. Mr Wale, SuperOneClick will root your Gionee Pocket Android Phone. If you encounter any problem please kindly let me know. How Can I Put My Gal Tab 10.1 Into A Download Mode? A ) Press and hold both the Volume Down and Power buttons on your tablet. B) Release the two buttons when you see the two icons on the screen. C) Use the Volume Down button to navigate between the icons. D) Highlight the icon on the right (box). E) Press the Volume Up button to select it and boot into Down mode. ==> reboot your system and you are done rooted. You should now see Super User on your menu's. The safest and easiest thing to do is download VisioNary.apk and just temperary root it. That will give you the ability to do everything you need to do in a root status without risking anything. You can wi-fi tether, run Titanium Backup and stuff like that. How Can I Temporary Root It? 3. Install it and run it. Temproot is for temporary rooting your device, its gone after a reboot, permaroot is for good, unless you use the unroot option. Its safe, fast and easy. I use temproot option so I can use some root only apps. This is the first device I have felt no need to add a custom rom to or anything so VISIONary was the choice for me. If you want the long harder way directions can be provided. I do recommend you learn the long hard way at some point, its good to know your way around just in case. Follow the same procedures as above. T mobile p999 android version 2.3.4 pls can u help root this phone. You don't need to worry over this as SuperOneClick will do this in minutes. 1. On your T-Mobile, go to Settings > Application > Development and enable the USB debugging mode. 2. Connect the G2x to your computer via USB cable. 3. Extract the contents of the SuperOneClick tool and launch it. 4. Click “Root” button and wait for the process to finish. I will appreciate if you can state the methods you have tried so that it can help me profer a more reasonable solution to rooting your device. But this will surely work out for you. ===>Backup all of your data first, uninstall security Apps from computer and the device, turn on the USB debugging option in your device, Charge the battery of the device to 70% at least. ===>Download Superuser-3.2-RC3-arm-signed.zip in computer, connect your device using a USB cable and paste the downloaded file in the SD card. Remove USB and switch off the device. ===>Enter recovery mode by pressing the Volume Down button with powering on. in the recovery mode select (wipe data factory reset) and (wipe cache partition). ===>Then go back in order to return in the recovery mode, select (install zip from sd card) followed by (choose zip from sd card) now Pick root file and flash the device. Disclaimer: Backup your phone data and do it at your own risk, this can brick your phone. 1. Go to Settings>> Applications and check on “Unknown Sources”. This will allow you to install non-android market applications. 2. Now Download z4root from Here (remember this app is not available in android market), save the apk file on computer and transfer it to your phone memore/external card. 3. Locate the apk file using file manager “My Files’ on your SGS and install z4root.apk file. 4. After installation launch the application and select “Root” option. And you are done. Before proceeding to the installation procedure, it is important to ensure that you take the back up of all the important data like SMS, emails, files and other precious data being stored in the internal or external memory of your device in order to avoid any lose of data while attempting the procedure. ==>Step1: Firstly you need to download the Cwm Recovery Package and Super User File on your system. Post to this connect your HTC Chacha and importthe file on the external memory of your phone. ==>Step 2: Now disconnect the device and head on to settings. You need to disable the fast boot for which you need to go to settings>>>Power>>>Fast Boot and then turn it off. After this you need to press the Volume Down + Power button to bring your device in the HBoot option. ==>Step 3: Now the device will automatically scan the PH06IMG.zip and will start the installation process. Once it is done press the Volume Up key and then start the flashing process and then manually reboot the device. Once your HTC device gets reboot, you again need to turn it off to bring it into the HBOOT mode. For this you need to press Volume Down key + Power button at the same instance. ==>Step 4: Once you reach to the HBOOT, you device will scan for the PH06IMG.zip, which it place in the external memory. Now enter into therecovery mode by pressing the power button and Volume key. ==>Step 5: Now select the zip file which you imported having the name, “su-2.3.6.1-ef-signed.zip”. Select this file and press Yes to confirm the installation. It wil take few seconds and then the device will automatically reboot. That’s it you have now successfully rooted the device to install the super user on your HTC Chacha. pls mr yomi prof, pls help drop anoda method 4 rooting tecno N3… d thing z ds,I've once rooted my N3 succesfully sum 4mnths bk… bt i restored factory settings sum wks bk & I've nt bn able 2 root ever since… telling me "su binary blah blah"
I'm really fed up,pls help me. Okay, am going to give you another method of rooting your Android device using z4root. Just follow the same procedures below using the z4root. Am going to give you simplest tutorial ever on how to root your Infinix Android Phone. ==>Open the application and click temporary ROOT to root your device temporary which will unroot when you restart your device. Or Select permanently root to root your device permanently. ==>Once the root is complete, your device will automatically restart and you are done. I'll quickly take you into easy steps on how to root your Galaxy Froyo. 2. You must have access to a computer, to the tablet and to its USB cord. 3. Download and install Samsung Kies Mini on the computer. 4. On the Galaxy Tab enable USB debugging “Settings -> Application -> Development -> USB Debugging”. 5. Remember that rooting the device will make you void the warranty. 6. Download the USB drivers for your tablet and install the same on the PC. ONCE YOU HAVE THE ABOVE IN PLACE, YOU CAN NOW FOLLOW THE STEPS BELOW TO ROOT YOUR TAB. STEP1:go to “Settings -> Applications” and then choose “Unknown sources”. STEP 2:Download the z4root tool from here and place it on the PC. STEP 3:Connect the device with the computer and copy the app to your tablet. STEP 7:Just tap on “Permanent Root” and wait until the process ends. Once it end, your Gal tab will restart and you now have a rooted Galaxy Tab. Did you try the MtkDroidTool procedures? If no, should i post it here for you? To root you device, i will quickly run you through this but please follow me carefully because the procedures is quite long. ==> Turn off antivirus programs and firewalls on your phone. ==> Do not try this method on any other phone other than the Samsung Wildfire S.
==> Backup all of your important data, documents, contacts, media files etc. ==By reading upto this part of this hub you should understand that this process may brick your device, if something goes wrong. So, you must understand the risk and proceed by your own accord. 1. Click Hereunlock the bootloader of your HTC Wildfire S.
STEP1: Power your PC on. STEP2: Connect it to the internet connection. STEP5: Bring the USB cable in action to jack your handset with the PC. STEP6: Now transfer the downloaded PG76IMG zip file to the phone’s SD card. STEP7: After that disconnect the device from the PC. STEP8: Disable FastBoot & Switch the phone off. 1) Reboot the phone into the HBoot mode by pressing the VOL UP +DOWN + POWER keys combinations. 2) It will prompt “Apply Update”. 3) You cannot be able to use the touch screen here and so you need have to use Vol UP key to click. So, click on the prompt to start the update. 4) Now reboot the phone using the power button. 1) PC to the SD card. 2) Disconnect it form the PC. 4) Use the volume keys to navigate the HBoot menus. 5) Enter the recovery mode inside HBoot. 6) Now select “Install Zip from SD card”. 7) Select the root script zip file. 8) Now select confirm to start the download process. Wait for some time for the process to be completed. 9) After the complete root process the phone will be rebooted. And wow…! You have a rooted Htc Wildfire. Am going to give you another procedure but make sure your device’s firmware must be 2.2.1. if not, you need to update it. This guide does not require you to connect your phone to your computer. ==>Copy the program file you have downloaded into your SD card. ==>Install the executable file into your phone. Wait for the process to end. You must not turn your device off, even if you think it is not running. You must only turn it off when prompted. You will receive a notification message that you need to power off your device. ==>Turn it on again by holding the volume down button and the power button simultaneously. Sorry to derail Prof, but the Etisalat tweak is no more working for some of us. What do we do?? Have you attempted rooting it with any other means before? How do I root it plz? Keep it up. I will be visiting again. Am going to give you the simplest tutorial ever on how to root your Infinix Android Phone. that link will guide you through. Am going to quickly show you how to do this in easy steps. ==>Open the app on your Streak. ==>Tap the drop-down menu to choose which version of superuser you want to install based on the version of Android running on your Streak. ==>If you only want a soft root and/or you want to generate a log file on the Streak's microSD card, then check the appropriate boxes. ==>Tap the "Go Root" button. After a few seconds, you'll get a confirmation message that the root was successful. That's it. You're done and fully rooted. NB:If it fails to root the first time you try, don't give up until you try again. You could also try one of the earlier versions of the app. Before you root your Htc velocity, You need to unlock your bootloader or this method will work like any other temporary root. You need to have a fully unlocked bootloader to achieve a permanent root – head over to this website:Htcdev.com to unlock your bootloader. It’s pretty simple. As usual, remember that this will void your warranty and we hold no responsibility for your actions. The process is simple and all you need is the HTC drivers and the root method and you’re good to go. STEP5:Wait 3-4 minutes and reboot. Enjoy your permanently rooted HTC Velocity 4G! Abeg techno q1 nko ? 1. turn on the usb debugging by going to Menu Settings » Applications » Development » USB Debugging And Tap to tick it. 2.In the files you downloaded earlier which is in Zip format, extract the files to a particular folder and install the ADB Drivers. 4. Install Snap Pea, launch and wait for the program to detect your phone then Unpack the Root With Restore file To Desktop. 6. Press 1 on your computer keyboard and Press Enter. While this is going on, you should see some Full Restore message been displayed on your tecno Q1 phone, Tap Restore My Data, don’t bother yourself with the Encryption Password. 7.Wait for the process to Finish and on your computer screen, you should see some of these following processes on the command prompt. 8. At the end, you will see a Successful message that your device is rooted and its going to reboot your device in 10 seconds!‘. 9. With that clearly seen, your tecno Q1 will restart, after setting up, navigate to your menu and you should Find SUPER SU app automatically installed. How Do I Verify If Rooted Tecno Q1 Successfully? ==>Its simple, just go to Google play store and download RootChecker. Launch and click on Verify Root Access. You should see this device has root access. Hi, i need to root this android mobile SAMSUNG GALAXY STAR S5282. U can mail me as deeprince2020(at)gmail.com, i mean the process in rooting it. Also, i won't mind if i can get any browing trick or tweak for mobile or p.c. Thanks for been helping us. Since i found this blog, i haven't missed a day without checking for new update. More power to your elbow prof. I wanna start blogging, i have interest in it, help me on how to go about it. Hi Prof, thanks for the good work. Morning prof, mine is tecno m3….. how am i to go abt it? Hello…I need to root a infinix X530 phone. It would be highly appreciated if you could send the procedure to this e-mail: [email protected]. ve tried everything framaroot, one click, eroot, everything. help ooh! Hello Friend, since you've tried all the above, what error did you get in the process of rooting it? this will enable me to proffer more reasonable solution to this ish. It' so unfortunate i couldn't locate the rooting process for your device but Framaroot is a universal android root that works for 85% Android phones. You can try it out. Mine's a Sony Xperia Tipo Dual SIM Android phone & I have absolutely no idea whatsoever on how to go about the rooting of the device, I'm sure you can be of help here Yomi. Definitely i can be of help. to root your device, kindly follow the link below and read carefully the steps highlighted. did you check if their is an update available for your device? Pls I Just encrypt My Techno p9 And I want to stop it.How Can I do DTruth. please help me i cannot root my Gionee pioneer3 (P3). Go to gplay store and download super user, run and install it on ur device, update super user binary and u r good to go. Hello. I need to root a BML D5 phone. pls how can I root my innjoo i1s….pls help Mr yomiprof…. Hello prof… I need to reroot my micromax a110 which i unroot permanent wit ota rootkeeper…sir is it possible root again?? If yes then how?? Please how do I root my Innjoo i1s. ==>Go back to playstore and download Rootchecker to check if your device is fully rooted. Hello, please boot it into safe mode and uninstall that Nokia Manager tool you installed, after then, your Note will be okay. I've been theough most of your posts and so far no help for the P9 as the farmaroot is not working. Please how can I root my Tecno P9. Yomi, wanna root mine techno S3? Pls yomi sir how can i root htc desire 600 dual sim.I tried all sort of apps with both my computer and phone but don't seem to work.email:[email protected] thank u. How to root j5 ave tried kingroot latest version from the website both on PC and android. It says something about no root strategy for your device. Research in progress. Ave tried iroot kingo root. My phone stil isn't rooted.